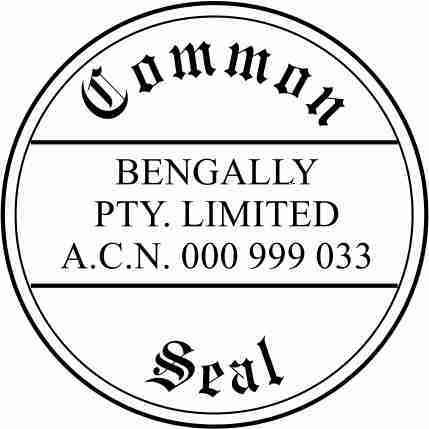 Stamp your Common Seal on official company documents. Common Seal stamps are 38mm in diameter. They are available as a Self Inking, Folding Stamp or Traditional Hand Stamp. No. 7 is 48mm in diameter and not available as a folding common seal. Self- inking stamps are quick and easy to use and can be re-inked when needed. It is also very important to use the correct ink when re-inking your stamps. Incorrect ink could affect the rubber therefore resulting in the image becoming distorted. Another pitfall of using incorrect ink results in the rubber falling off the stamp mount. Correct ink usage is relevant for the Traditional and Folding Common Seal stamp pads as well. Water based ink ensures you get optimum use of your stamp. Folding Common Seals have a handle that folds down to lie flat on top of the stamp mount. This folding handle makes them easy to store by taking up much less space. Stamp pads for the Traditional Hand Stamp Common Seals are also available. Refer to our Pads and Inks page for prices and sizes. Our normal turnaround is one to two business days. 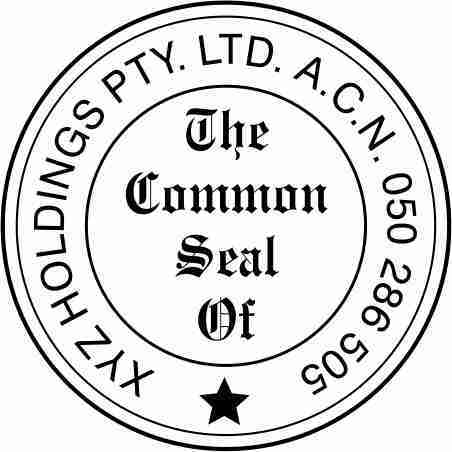 Urgent Common Seal orders are available. We have an emergency service for urgent seals but an extra surcharge will apply. 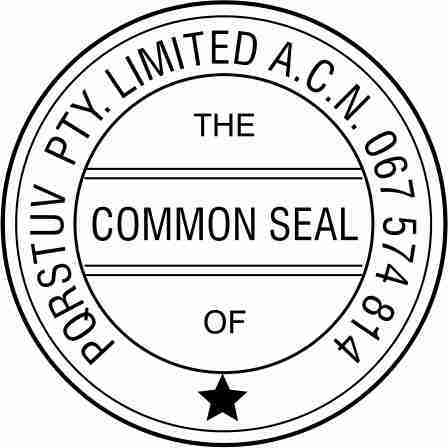 Designing your own Common Seal is another option rather than using one of our templates. Email or fax your artwork to us. A proof will provided before going ahead with the order. 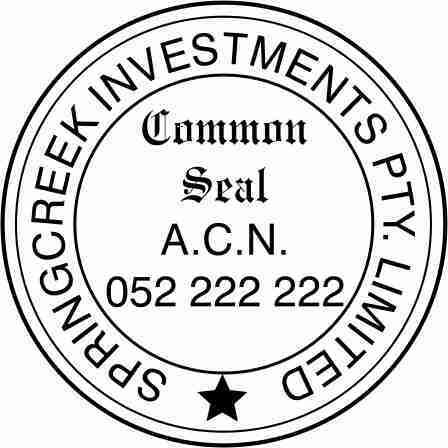 To produce the Common Seal we need both the Business name and the ACN or ABN. Strata Title Common Seals. 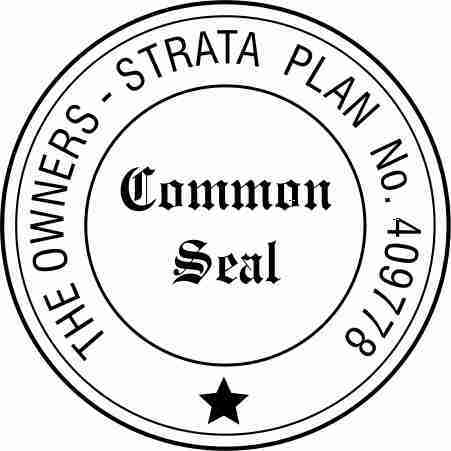 – The Strata Number is needed as we have standard wording before the Strata Title Number. Prices for the Common Seals No. 1 to No. 6 are as follows: Self Inking $47.50 —Hand Stamp $30.25— Fold a Seal $42.35. Common Seal No. 7 is $35.00 for the hand stamp and $65.40 for the self- inking version. All prices include GST. You can buy these items online. Click here to like us on Facebook. Click here. Contact us by Email: pg_stamp@bigpond.net.au Alternatively you can print out the order form and fax or email us. The order form has the incorrect pricing for Courier charges. Freight Charges are listed on the main menu.